As a heartwarming follow up to my last post on the digital future of publishing, I’d like to discuss the future of our beloved books. As an impassioned reader and a self-admitted traditionalist, I will cleave to print books my whole life through. As a publishing professional, I believe digital advances are wonderful and creating an entirely new experience for readers. 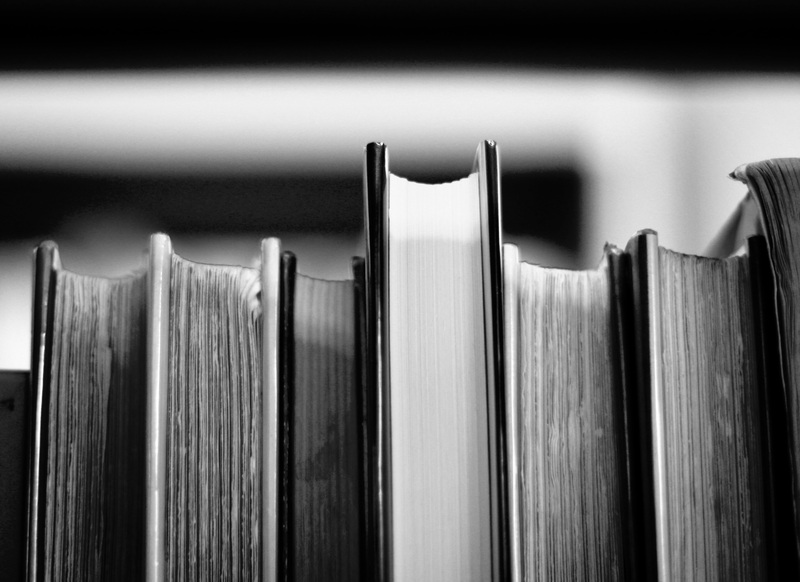 Yet, on a personal level as a reader, I believe that there is an innate magical quality about the experience of reading a print book that cannot be recreated. If you’ve read my blog before, I’m sure you’re thinking that this isn’t the first time you’ve heard this. However, recent research from a post-holiday Pew survey about the reading habits of American adults put a huge smile on my face and prompted me to address this topic again. As we move into 2014, findings from a Pew survey indicate that “most people who read e-books also read print books, and that just 4% of readers are e-book only.” Plus, “overall, about half (52%) of readers only read a print book,” and “87% of e-book readers also read a print book in the past 12 months.” These statistics are exceptionally encouraging for the publishing industry, as it indicates that readers still value the experience of reading a printed book and that they are reading across mediums. The boundaries of the publishing world and the concept of the book are constantly being tested, reshaped, and molded. Yet, despite all the changes readers continue to reach for print books. What is emerging from the constant developments in the publishing world is a new kind of reader–a hybrid reader. They are not setting books aside, but rather are embracing a new reading experience across mediums: print books, Kindles, iPads, Nooks, laptops, smart phones, etc. We are seeing the evolution of readers in tandem with the evolution of the publishing landscape. Though, I would venture to say that readers are definitely moving at a slower pace than the publishing industry in their adoption of digital reading devices. The constant looming threat that there will one day be no books, libraries, or bookstores is, to my mind, unthinkable. And, thankfully the results of this Pew survey confirm that. The survey also indicated that the reading pulse of Americans is thriving. Overall, “76% of adults surveyed read a book in some format over the previous 12 months,” and the “average number of books read or listened to [in 2013] was 12.” These statistics both shocked and pleased me. 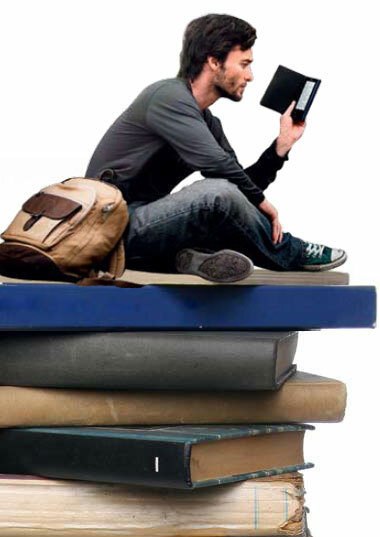 The introduction of e-reading devices has undoubtably impacted the number and diversity of readers. And, as an avid reader and an ardent lover of words, ultimately, I want as many people as possible to find a reading experience that excites and entrances them in the same way as reading a print book does for me. The takeaway for book lovers is that the digital future of publishing does not mean the death of the the book. In fact, the harmonious relationship between books and digital reading devices may be just what the world of literature needed to keep generations of new readers engaged as we move into an ever-changing and technologically advanced world. The publishing industry is one that is constantly changing and evolving, in many cases within the briefest span of time. Industry professionals just get acquainted with one new digital introduction only to be presented with another. This fast-paced industry is now dictated by the alacrity of technological developments and the demands that creates from readers. As a marketing professional in book publishing it is crucial that I remain on top of all the changes occurring in the space in order to best equip my authors with new and innovative ways to engage with readers. The digital impact on book publishing is an exciting challenge that keeps us all on our toes, working to connect authors with readers in the new and shifting ways they want to be connected with. At the Fifth Annual Digital Book World conference, the transformation of the industry and the shift of power to one dominant agent in the marketplace was a hot topic of conversation according to Publishers Weekly. Digital media, self-publishing, Print On Demand, and the outcome of the Apple DOJ case were all sited as major shifts within the industry. These factors have all drastically changed the publishing landscape and impacted the ongoing redefinition of the book. Publishers are carefully contemplating dipping their toes into the waters of new digital changes, such as bundling packages and subscription services. There is also a new trend towards publishers taking a page from Amazon’s direct to consumer e-commerce book. Though many are still carefully weighing taking part in these emerging digital trends, early adopters are seeing great returns. Publishers must band together to keep our voice a present, fresh, and valuable asset to authors in a constantly shifting industry. We must make changes to evolve with our readers and let go of the mantle of the past. This is the only way to compete with a force that has a monopoly in the market. Technological innovations can at times seem a thorn in the side of publishers, but I look at them as a catalyst that ups the ante on the services we can bring to authors. They do not have to be seen as factors that make publishers antiquarian or even obsolete. Instead, we simply must change our tactics to keep pace and illustrate that though the face of the industry is changing, publishers are still an essential component to both the publication of books and the fostering of connections between authors and readers. After all, we are part of an industry founded on creativity and imagination so it is only fitting that we as publishing professionals are being charged to put ours to the test. In this dizzying whirlwind of technological change, there is one thing that has always and will always remain a constant–the readers. The future of publishing may have many twists and turns, up and downs, but what will never change is that it will always lie in the hands of the readers. As publishers it is our job to ensure that we continue to connect with them, to reach them on that very personal level, and to foster their love of the written word–whatever form it may come in. It’s that time of year again…New Year, New You. New Year’s Resolutions to be kept, gym memberships to be purchased, new yoga gear to be worn, more water and green tea to be consumed and so on. Though I’ll admit that I have some health and fitness resolutions on my list for 2014, there is another resolution that I’m determined to keep at the top. It’s time for me to make a serious and concerted effort to regularly exercise my writing skills. There’s no reason for me not to, it comes easily to me (most of the time) and I get immense joy from letting the words flow out onto the page. Why should I deny myself that pleasure simply because lying on the couch in front of the TV is so much easier, but so much less rewarding? It’s time for a change and one that I will stick to. I’m making 2014 my year of writing. In this year I will make my blog a priority, I will make my creative writing a priority (more on that to come) and I will make my personal growth as a writer and reader a priority. These are things that are near and dear to my heart and fuel my spirit and I’m not going to let the post-work laziness get in the way any longer. I will march into 2014 with this new motto in mind “The pen is mightier than the couch.” Perhaps a bizarre twist on Bulwer-Lytton’s celebrated adage, yet one that I feel is particularly fitting for the writer in me. I have recently started contributing to my blog at work, Greenleaf Book Group’s Big Bad Book Blog and this new responsibility at work has given me the kick in the rear I desperately needed to get back on track with my personal publishing blog. I am so excited to start 2014 as a young publishing professional. It has been a long time coming and an earnest quest of mine to be a part of this industry that I want to build a lifelong career in. I think therefore that I owe it to myself and to publishing to be an active participant in the space. It’s going to be a great writing adventure and I can’t wait to see where the page and the words take me!